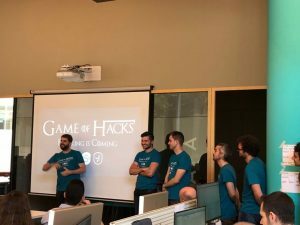 From May 31 to June 4, and under the theme of “Game Of Hacks: Hacking Is Coming”, 18 employees across the Barcelona, Buenos Aires and Kuala Lumpur offices built and showcased innovative projects divided into three topics: Data Hack, Powerups, and Spontaneous Ideas. Is this project strategic for Strands? Will it improve the product line? Will it help to serve banks and their customers better? Cash Transaction Scanner by “Banking Minions”: Thiago Gouvea, Adilzhan Alimbetov, Rayner Chu, Pourya Dashtegolipour, and Bryan Tung. FinBot by “Backend Street Boys”: Miguel Ratia, Xavi Sánchez, Reinier Melian, Michael Abeledo, and Gibran Pulga. 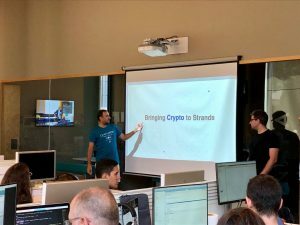 Crypto by “Team Gollem”: Arnau Guadall, Carlos Ruana, Alejandro Abud, and Miroslav Milenkovic. Merchants Normalization by “Padres de Familia”: Ivan Molera, Fernando Soler, and Julian Mina. PFM Parser by Felix Garcia. Each team had 20 minutes to pitch their idea to all Stranders and present a live demo of their solution. Final presentations were evaluated by a comprehensive set of guidelines that included market potential, innovation, idea development, presentation (creativity), and technical merit. 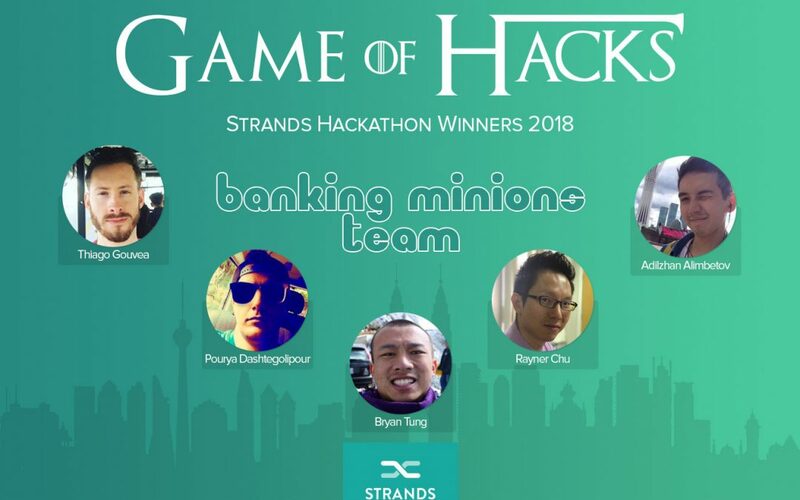 The winner of this year’s hackathon was the team “Banking Minions” from Kuala Lumpur. 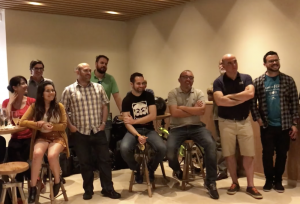 They won a trip to Singapore to attend the Singapore FinTech Festival and the possibility to win a $50,000 cash prize if they make it to the top 3 during the Global FinTech Hackcelerator. 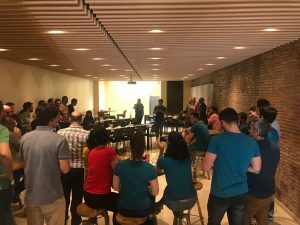 In addition, all participants received a €50 Amazon voucher and the possibility of some of their ideas making their way into Strands’ product suite. We’re excited to see how tech unfolds at Strands in the coming months with the help of the brilliant talent we have around the world!